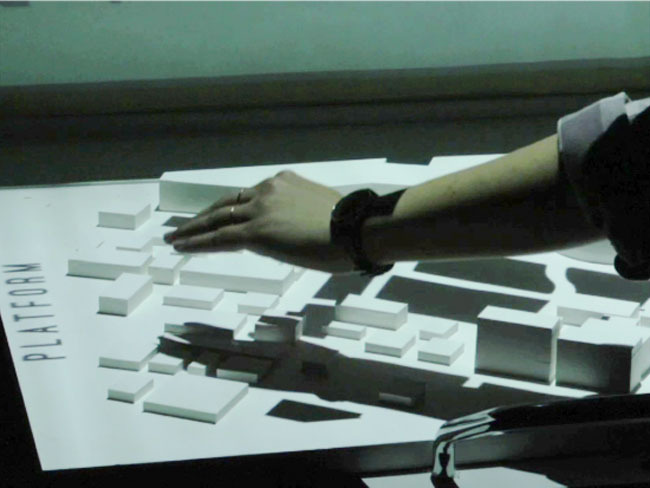 Touching Buildings is a multimodal, collaborative interface for the communication of urban planning. It integrates the various aspects of the planning and communication through a platform for tangible, collaborative interaction. The project examines a part of Downtown Los Angeles which will be the location of a planned transit-hub of the Los Angeles Metro system. 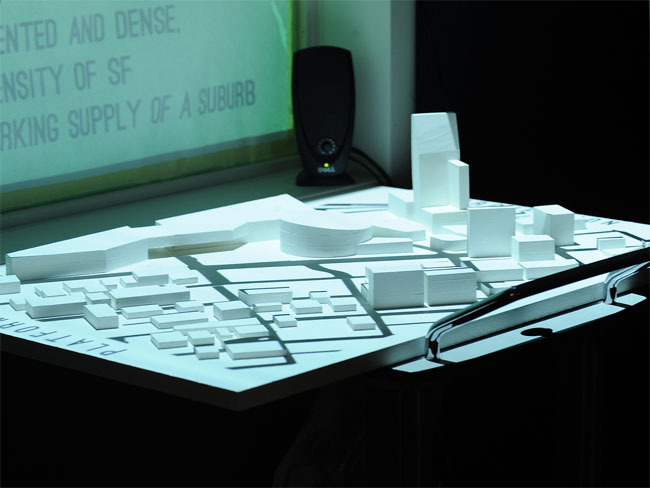 The core of the project is a physical model that represents the area in question. The model is touch sensitive and allows users to interact with it by touching its different parts. The represented area measures several blocks around the metro station including major landmarks such a LA-Live and the Staples Center. 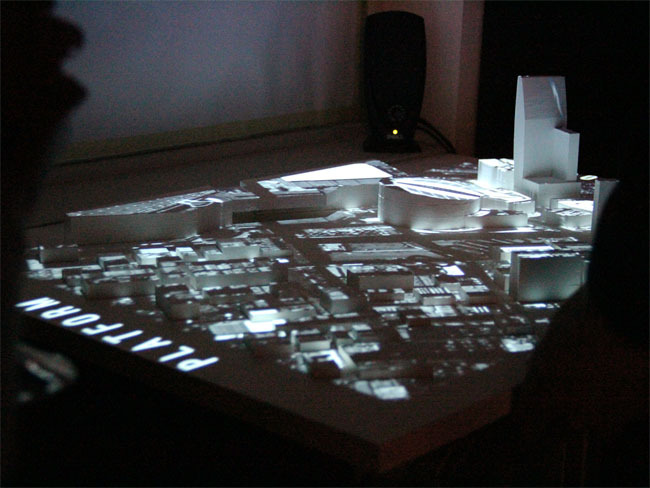 The model is plain white and serves as the projection surface. 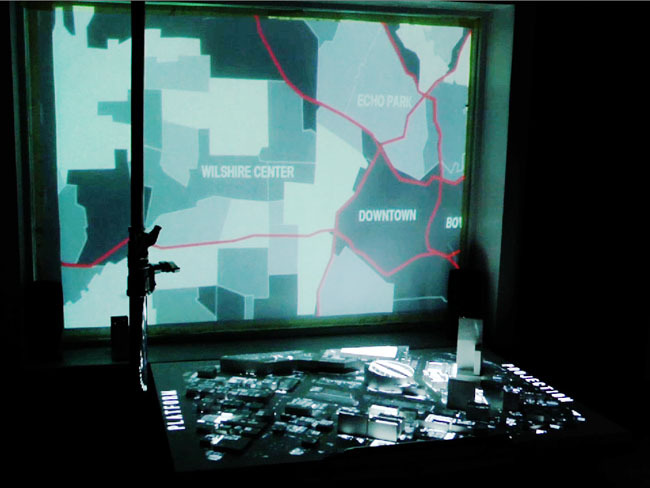 In this way the model itself becomes one of two screens that function as interactive displays. 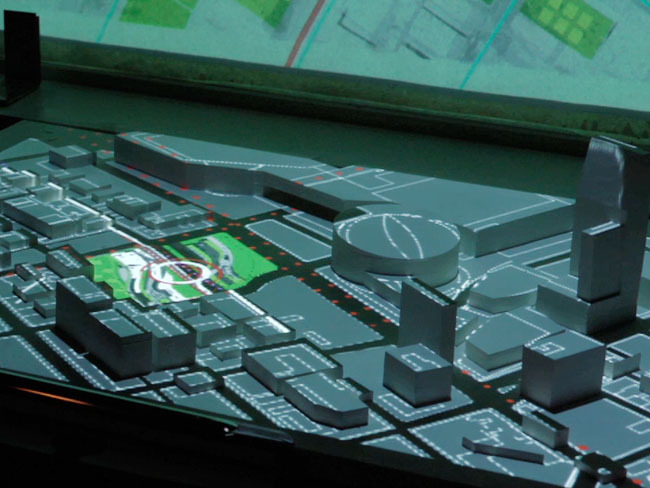 The projection on the model uses projection mapping to display various layers of information ranging from satellite images delivering an arial perspective of the area all the way to animated traffic simulations. 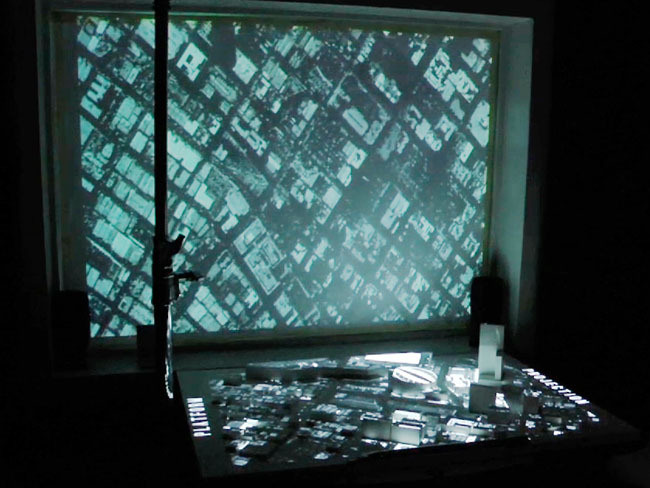 Touching Buildings is a prototype display system relaized in a colaboration of Tiffany Chen and Andreas Kratky.